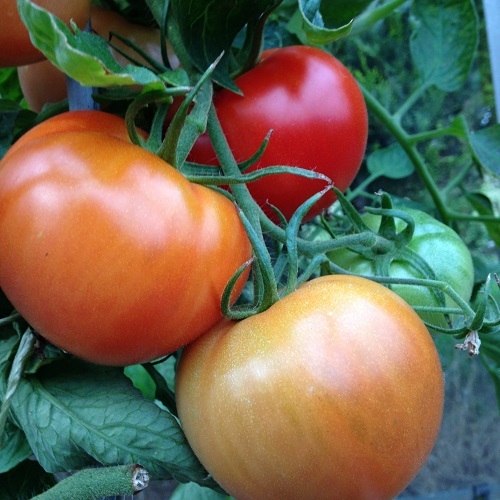 Tomatoes can be the most rewarding of vegetables. 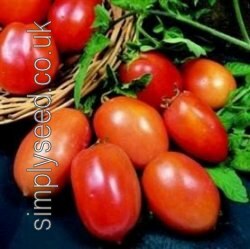 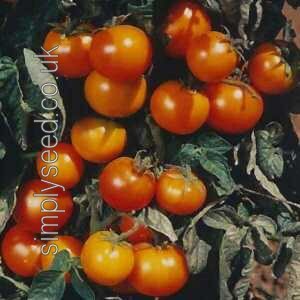 They are easy to grow from seeds, and can be grown in any size garden providing they are in a warm, sheltered spot. 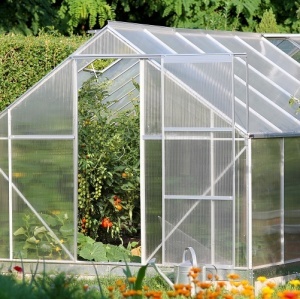 But it's important to choose the right variety, suited to the space you have available, and the location. 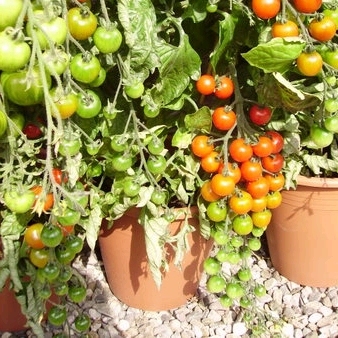 If you intend to grow outside, ensure you pick varieties which are recommended for outdoor cultivation. 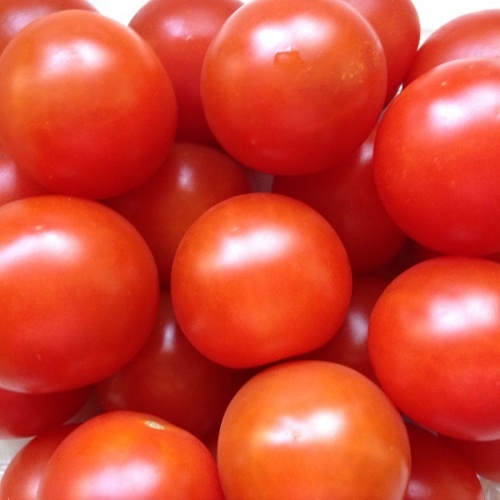 We offer plenty to choose from. 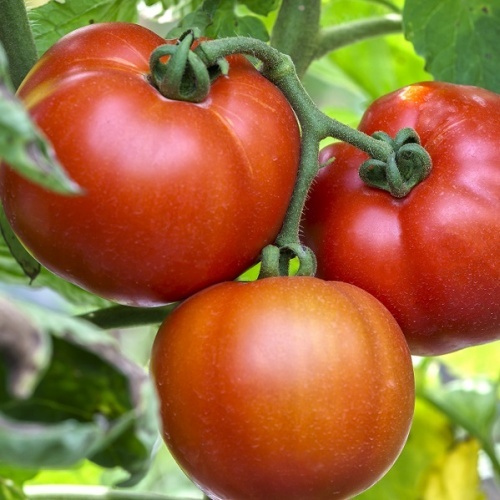 Page 1 of 1: 49 Products in Total. 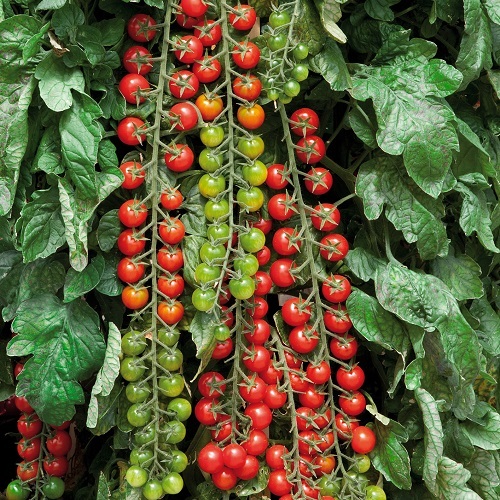 Growth Habit - Short Cordon. 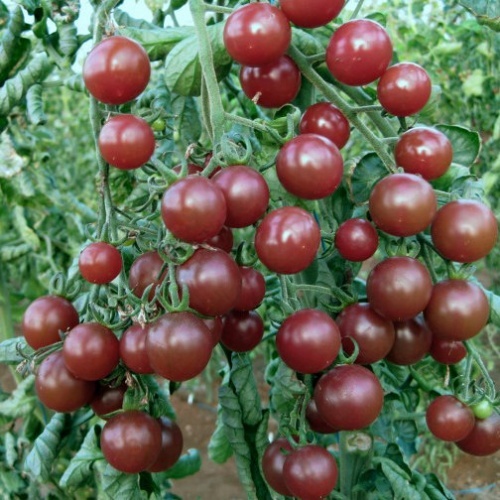 Growth Habit - Large Bush. 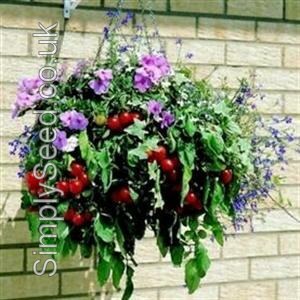 Growth Habit - Dwarf, for Pots. 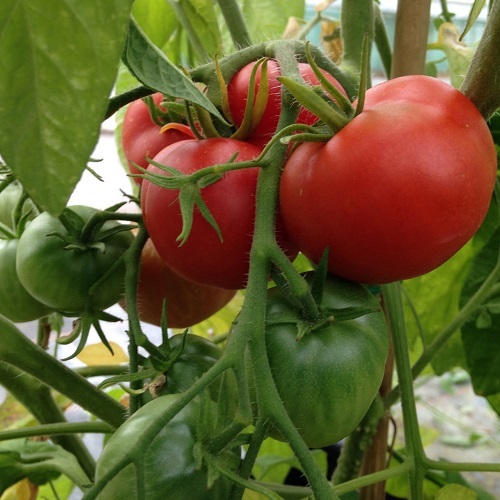 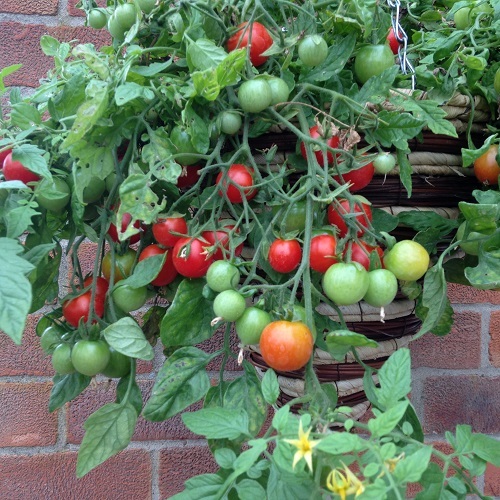 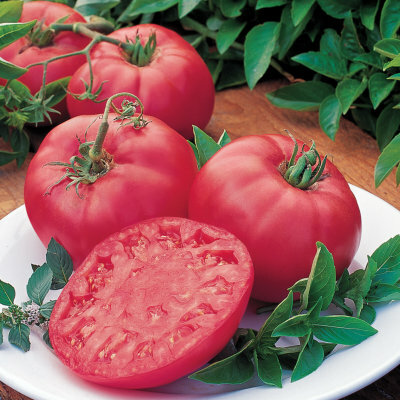 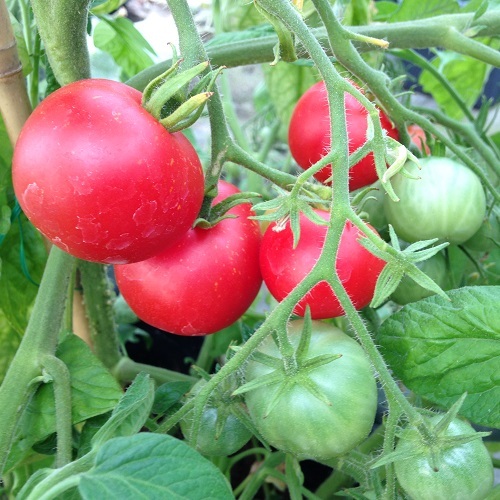 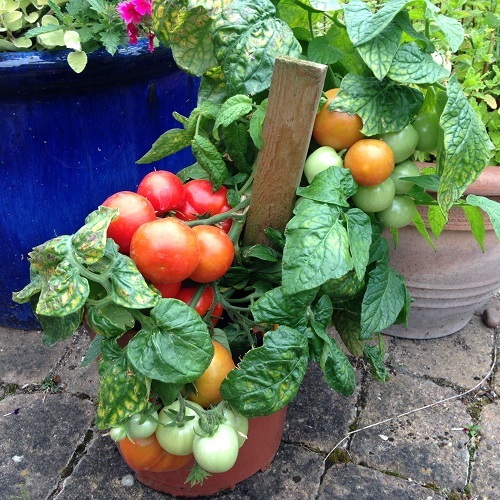 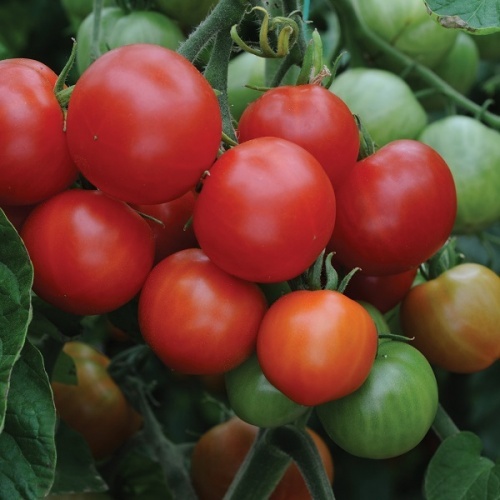 Tomatoes grow in either Determinate (bush / trailing types) or Indeterminate (vine or cordon) form. 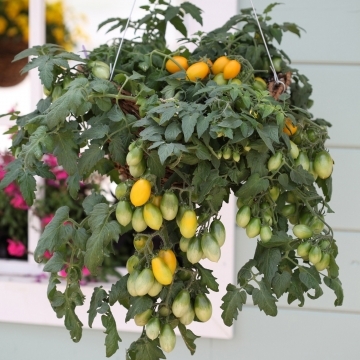 Determinate tomato plants are usually referred to as bush or trailing tomatoes, because they are generally shorter, but will not continue growing in size throughout the growing season. 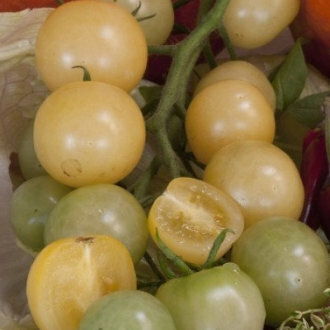 Many of the earliest ripening varieties are determinate types. 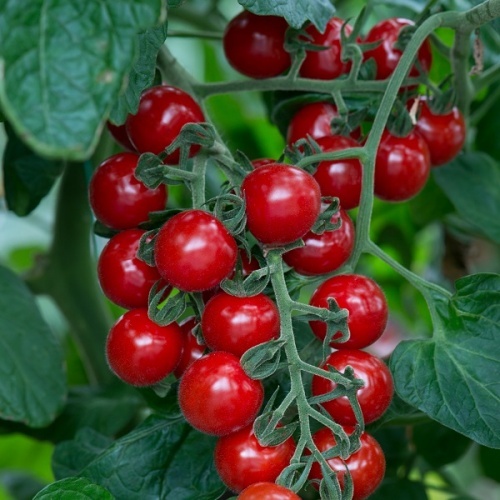 They will generally produce one large crop of fruit. 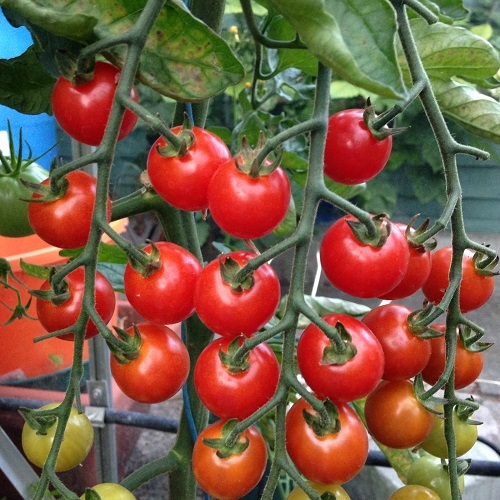 All the fruit will ripen within a short period, usually in the space of a month. 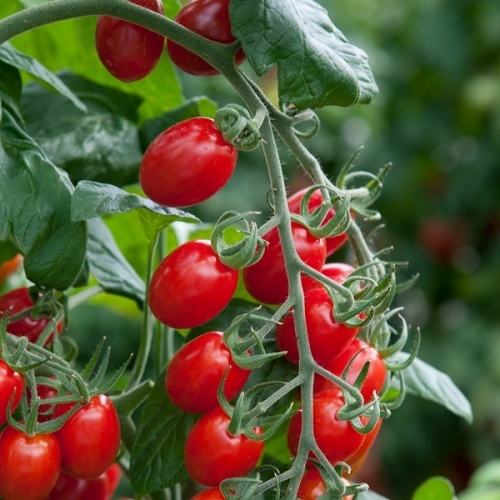 Pruning and removing side shoots from determinate tomatoes is not necessary, as the plants rarely grow more than 60cm tall. 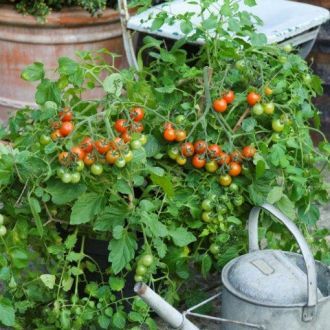 Many of the smaller varieties need no support, but it can be useful as the quantity of fruit produced can add considerable weight to the branches, causing them to break. 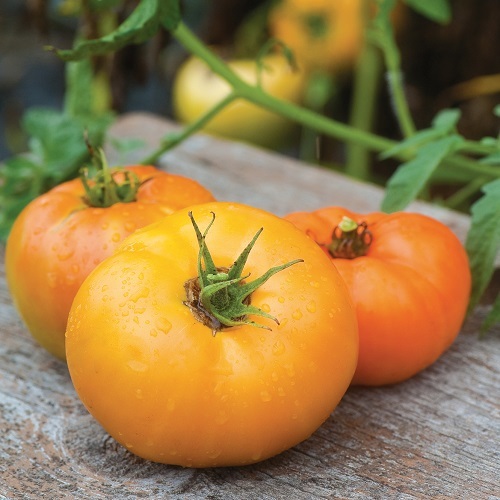 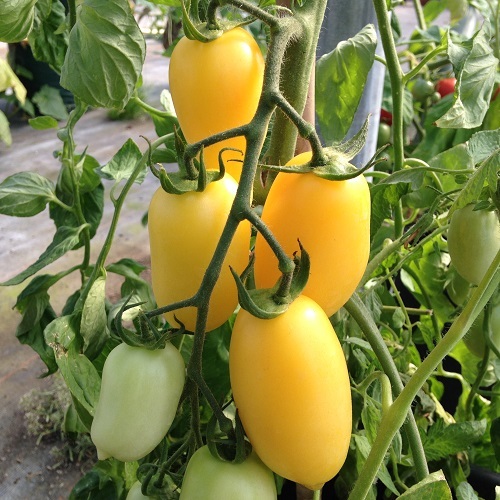 Indeterminate tomato varieties often referred to as “Vine” or “Cordon” types, and will keep growing and producing new growth even after the initial fruit is set, and will usually continue producing tomatoes until poor weather kills the plant. 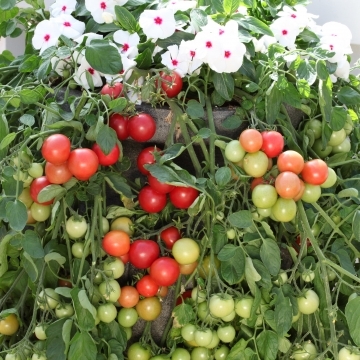 Harvests will last for several months if the plants are cared for. 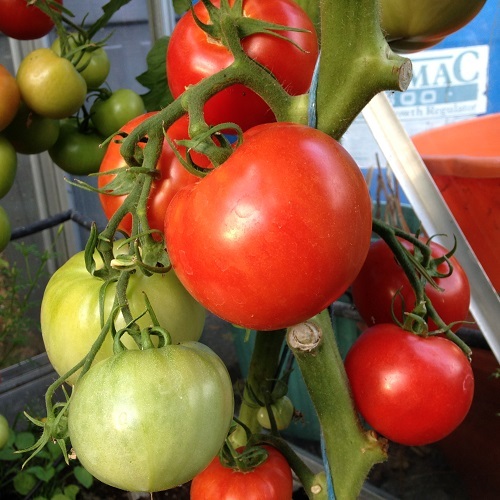 Indeterminate tomato plants will require canes to support what will become tall plants. 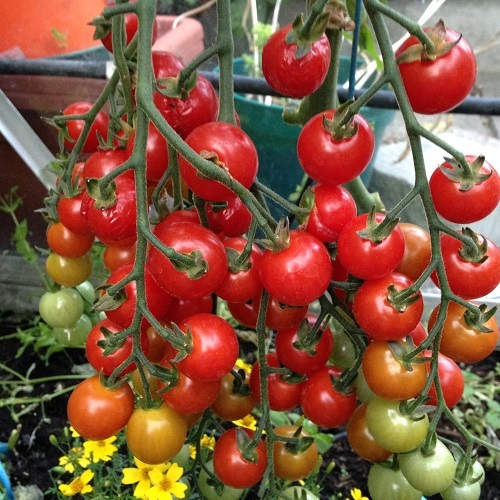 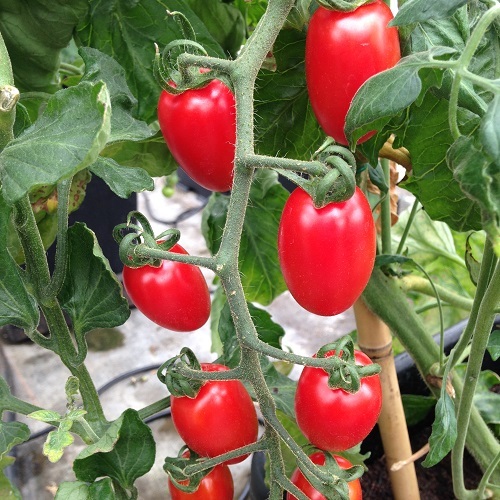 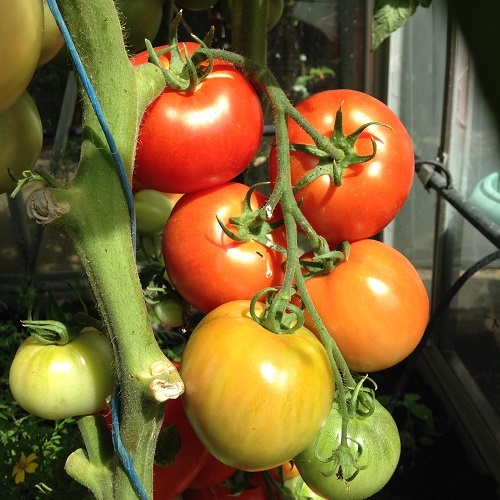 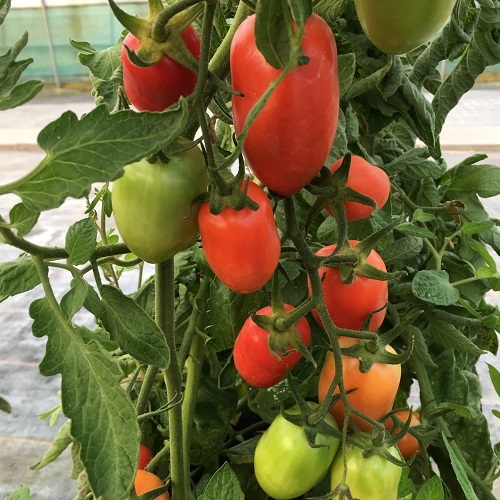 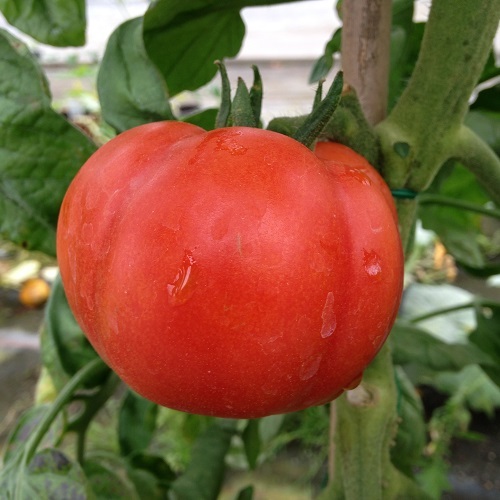 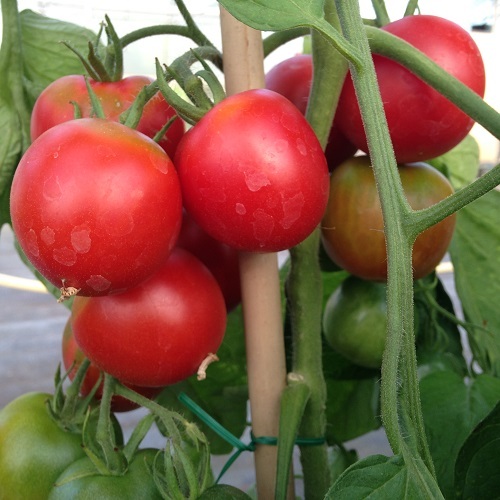 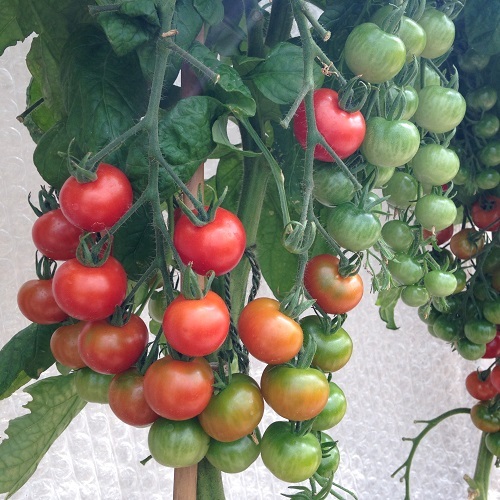 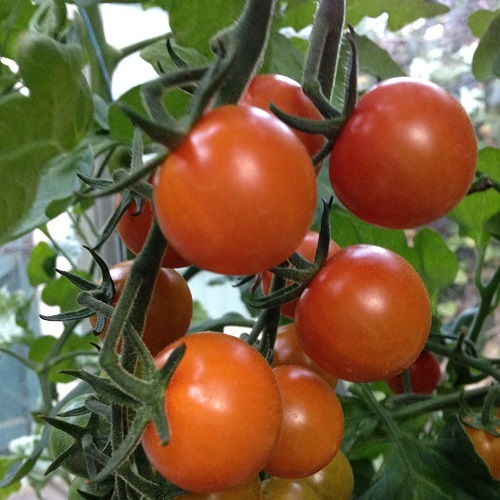 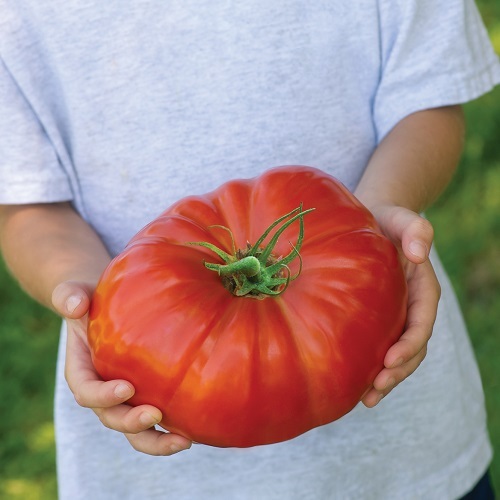 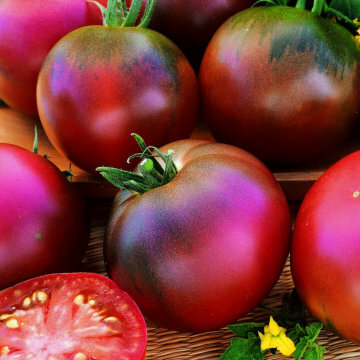 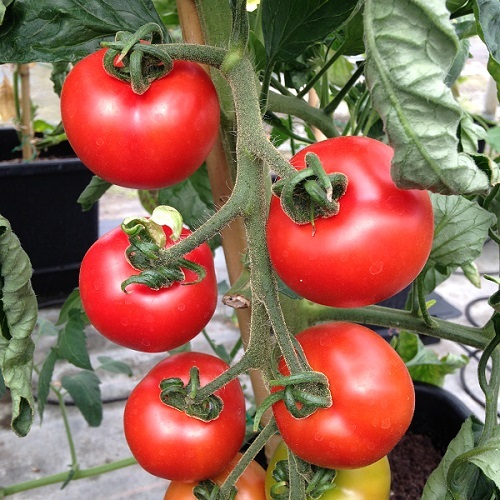 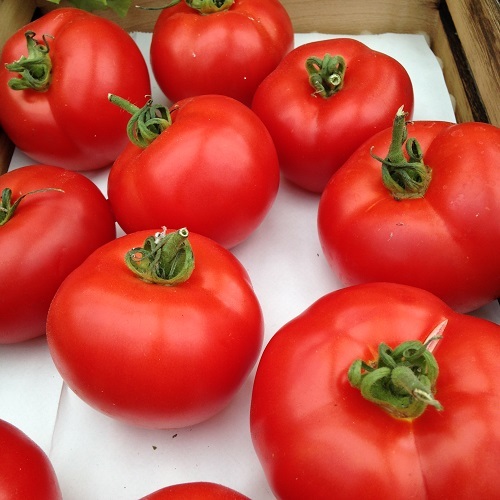 The majority of greenhouse varieties are indeterminate types, including most heirloom varieties, most small cherry types and large beefsteak varieties. 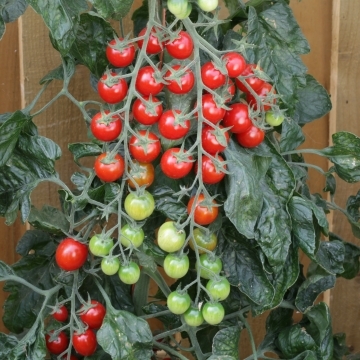 Semi-determinate plants, are somewhere between the above. 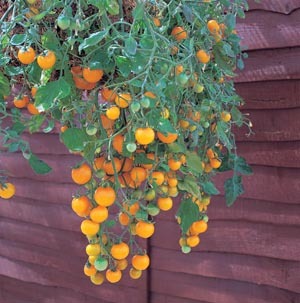 The plants are generally larger than determinate varieties but smaller than corden plants, usually growing 1m in height. 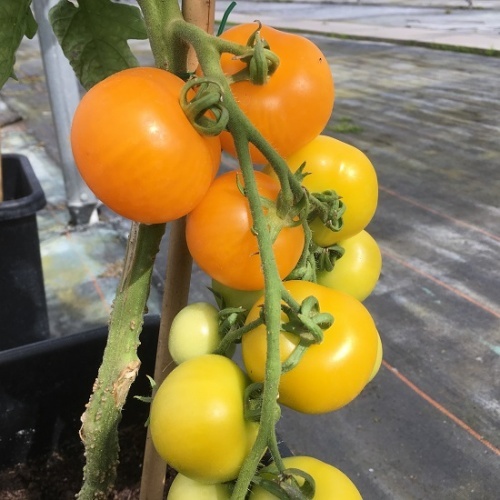 These varieties will usually require some form support.